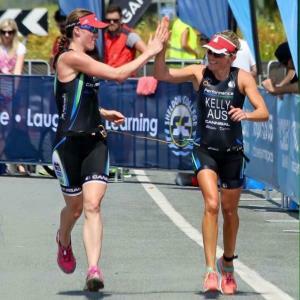 Performance Triathlon Coaching (PTC) provides quality face to face and online coaching services for triathletes of a range of abilities, from beginner to elite, that share a passion for the sport of triathlon. The aim of PTC is to promote a supportive first class training environment in which athletes can be part of a community and, if Canberra based, train together as part of a unique group of talented athletes. Jen is an experienced and accomplished long course athlete with a passion for sharing her love of the sport with others. She is always looking for a new challenge which is what led her to triathlon in 2005. Jen worked her way up from enticer distance tri’s and completed her first Ironman in 2008. She also loves getting off road and hitting the trails on the mountain bike. Her coaching philosophy is centred around building knowledge and skills to help athletes achieve their short and long term goals. Self-belief in athletes is vital and as a coach she actively supports athletes to develop a positive sense of self belief and confidence to push their limits. Recovery is essential and needs to be incorporated into programmes. The ability to stay healthy and uninjured is critical for success. Triathlon is a challenging sport requiring hard work across three disciplines. Mental toughness is key for success. Knowing athletes and what makes them tick and is critical to developing their mental toughness and ability to challenge themselves in all aspects of the sport. Success. Coach Jennifer Davis has been notified of your message.